Back for Summer 2015. Fandango has brought back their Visa Signature summer promotion from April 24th to August 21st. 2-for-1 movie tickets on Fridays! You can also get 20% off Fandango gift cards which can be used any day of the week and can be instantly redeemable online. 2-For-1 Movie Fridays. 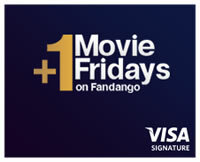 If you buy two or more tickets via Fandango.com/visasignature on a Friday, one of those tickets will be free at checkout (up to $19.50 value, including Fandango convenience fee). Works with IMAX and other premium theaters. This should also work with the Fandango Mobile App “TIXPRESS” feature if you have a Visa Signature as the stored payment. No promo code required. Tickets can be purchased on Friday for all Visa Signatures and Wednesday-Friday for Chase Visa Signatures, but it must be a Friday showing. Limit 1 complimentary movie ticket per Visa Signature card, per period of 30 days following the date of offer purchase. Maximum one (1) registered email address per seven (7) day period regardless of number of Visa Signature card or a valid U.S. issued Visa Infinite card. Note that this means if you have more than one Visa Signature card, you can participate more often (especially if you use multiple e-mails). Check your credit cards. 20% off Fandango Gift Cards. You also get 20% off gift cards bought in $25 increments, which is basically $5 off $25 and valid any day of the week. Limit four (4) discounted Fandango Gift Card purchases per Visa Signature card per month (maximum of $100 in Fandango Gift Cards). Again, this is per Visa Signature card. The service fee can be annoying, but these promotions still make it a net discount. If you are a member of AMC Stubs, you can get the Fandango service fee waived at those theaters (membership costs $12 a year). I must say that being able to buy tickets from my phone is quite nice. I’m not sure if these stack with other promotional codes, but their fine print says that they can’t be combined with other offers. I made use of this last year and it was fantastic. Thanks for the reminder. What a great time of year for a BOGO movie deal! Evan, did you pay $12 membership fee? I did not, just paid the fees. I need to run the numbers and see if it’s worth the $12. I generally use the deal a few times but not sure if I use it enough for the fees to outweigh the membership fee. Never jumped on these movie promos because they seemed too much of a hassle for an infrequent movie-goer, but this one sounds simple enough. Would I need to create four separate Fandango accounts to make use of four Visa signature cards? Or can I switch between the cards within the mobile app? I haven’t tried using it multiple times in 30 days, but the terms seems to suggest per Visa Signature card, not per account. The validation page just asks for the credit card number. The Chase Freedom card is also a Visa Signature. Tons of folks have this one, too. The Chase Freedom card is NOT a Visa Signature card. I tried it with mine. It must say “Signature” under the Visa logo on your card. I did however use my Chase Sapphire Preferred Card to purchase two $25 gift cards. 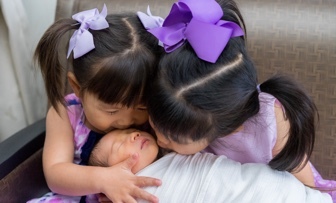 They make great grad presents. Thanks Jonathon! Not all Chase Freedom cards are Visa Signature. Make sure “Signature” is below the Visa logo on your card. You may call Chase and a representative may convert your Chase Freedom card to a Visa Signature. We buy the discounted cards and then got to matinees on weekends. So about $15 for three of us to see a brand new movie. Not as cheap as redbox but the kid finds it a big treat. Looks like they changed the rules. You mentioned that tickets can be purchased Wednesday through Friday. I just tried to do that and today is Wednesday. I got a message: “Tickets for +1 Movie Fridays can only be purchased on Friday with your Visa Signature card”. I wonder if anyone else can confirm this. I confirmed it Wednesday night and bought two tickets using my Chase Freedom card. The other two Visa Signature cards I tried gave me a message something like “The tickets for this promotion have sold out, try again next Friday”. Very strange. Previous: Help Explain This Asset Allocation Chart To Me?